Providing Reiki in person sessions or distance healing. Doing this work is my purpose. I want to teach and help as many people as possible. We can all benefit from healing. If we can all heal ourselves, the world will become a better place. I am inspired by the positive change I’ve personally experienced. I’ve been able to let go of all the types of abuse I’ve endured and turn those experiences into strength. I allowed my pain to control me for so long. I want to show others that it IS possible to heal, change, and transform your outlook on life. My wish is to spread the peace and happiness I feel because I allowed myself to heal and now I want to help you do the same. Your dreams are achievable and your hardships do not define you! Short Business Description: Nutritional Therapy, Aromatherapy, Customized Nutrition, Holistic Life Coaching and Reiki for Adults, Children and Pets. Uniquely customized, all inclusive health assessments, a functional approach to holistic wellness. Mind. Body. Spirit. Focusing on Nutrition, Stress management, Sleep Hygiene, Environmental factors, and Energy Healing. Short Business Description: Holistic Healing focuses on natural medicine as a healing technique. I am a certified Reiki Master and practitioner, as well as a CYT-200 certified yoga instructor. My business takes places in Plymouth, MA, US and I am able to travel to nearby clients. 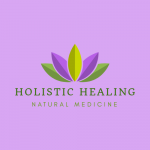 Short Business Description: Holistic Healing focuses on natural medicine. I am a certified Reiki Master and practitioner, as well as a CYT-200 certified yoga instructor and Aromatherapist. I offer multiple forms of Reiki treatment, aromatherapy, private yoga classes, acupressure, and reflexology. I perform my business from my home, but I am willing to travel to local clients. Short Business Description: Yoga & Wellness studio offering Reiki, Raindrop Therapy, Thai Yoga Massage and BioMat Therapy sessions. 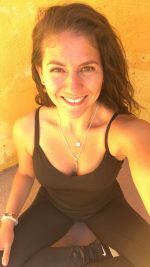 Hello, I am a Registered Yoga teacher, Shinpiden Reiki Master in the Usui Ryoho lineage, Thai Yoga Massage Practitioner and licensed Health Coach offering holistic approaches to movement, breathing and life! My practice integrates a variety of modalities to help you regain mind-body-Spirit balance and personal power. Your intentions assist in the journey towards a life filled with light, love and well-being. And autonomy and courage to create your desires. Offers massage therapy as well as Reiki.